Another fascinating Charles Smiley Presents program. A PBS style presentation that is both, attractive and intelligent. 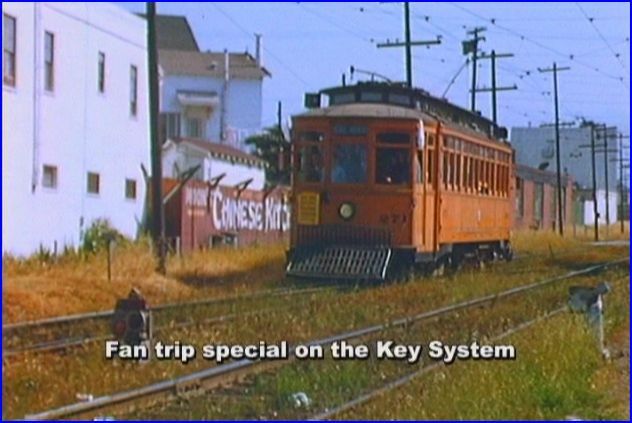 Vanished electric interurban lines are featured on Key System Scrapbook. 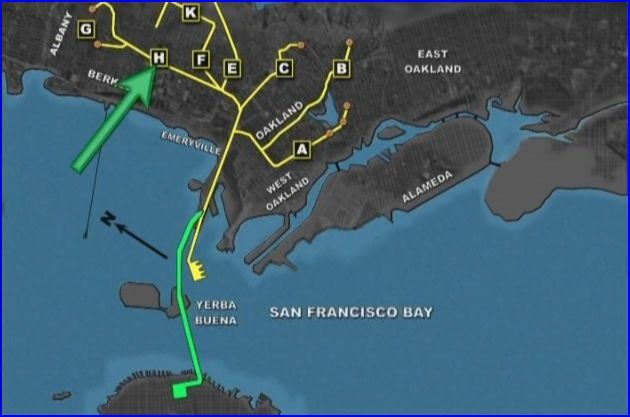 Based in Oakland are Key System lines A- H. Key ferry boats serving to San Francisco are shown. High quality films, with the majority of footage in all color. 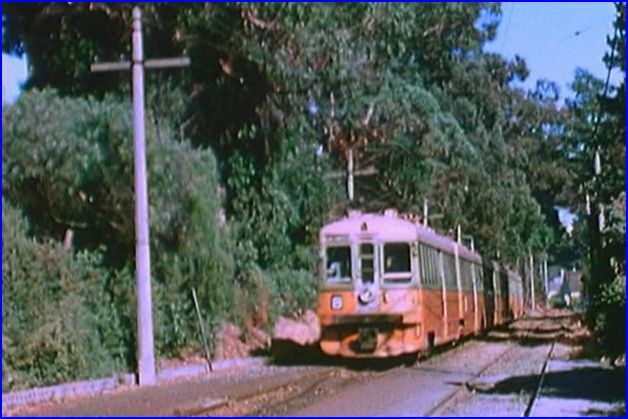 The original films are digitally enhanced. Frame by frame color correction, cleaned up and sharpened imagery. Some early 16mm color film looks astounding for the era! The wide variety of movie and still photography sources, provide an unending array of early views. City, suburban, passenger, bridge, maintenance, tracklaying, ferry, water, aerial are among this cornucopia. Synced live sound and period correct music provide the sounds. Extensive narration is extremely informative. Much research work goes into the flowing commentary. These factors add to the highly enjoyable viewing experience. Of course, the many custom-made maps, are an integral element of the program. Kudos to CSP for this extra feature. Extensive reference to the maps will keep the viewing organized. Maps are a subtle feature. Great when they are high quality and often viewed. Missed when low-grade, or not even included. Every Charles Smiley video that I have viewed so far, has this nice bonus integrated into the shows. Charles Smiley has successfully interwoven: the Key System story, with local area, and worldwide historical events. The World War Two black and white footage and Richmond shipbuilding are a fine pair if examples. Early 1939, footage of USS Enterprise with biplanes! 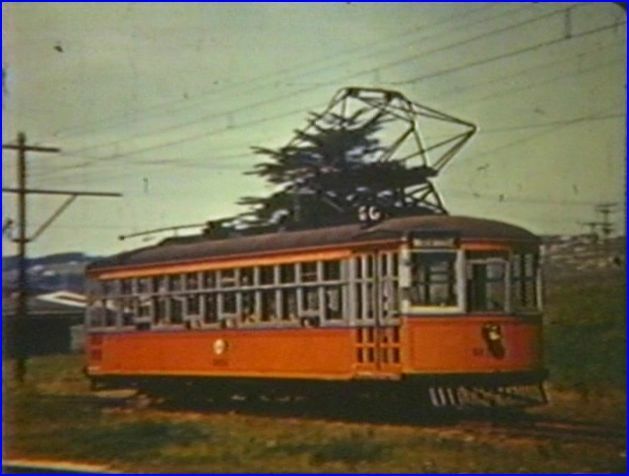 Dive bombers and Pearl Harbour in a trolley video! Everything fits together quite well. The combinations make for a program, that will make for some fun, repeated viewings. Borax Smith is the man behind the building of the line in the Eastbay area. History of how he put together the original system. 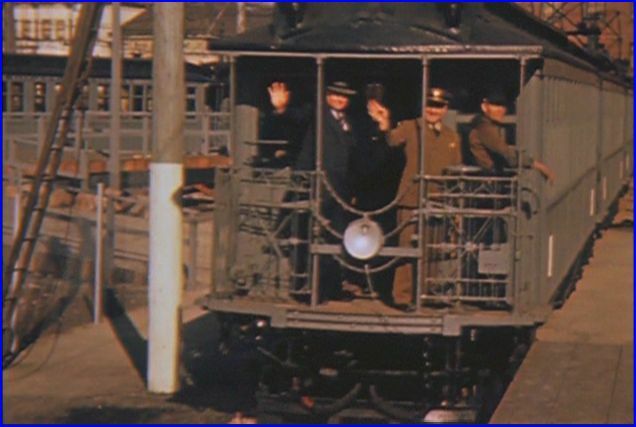 See the 1903 film with a rail crew nabbing a purse snacher! Just the ride down the dirt street, in 1903 is great. Oakland Bay Bridge under construction and pre bridge access for the raillines. Southern Pacific ans Sacramento Northern would also gain bridge rights. 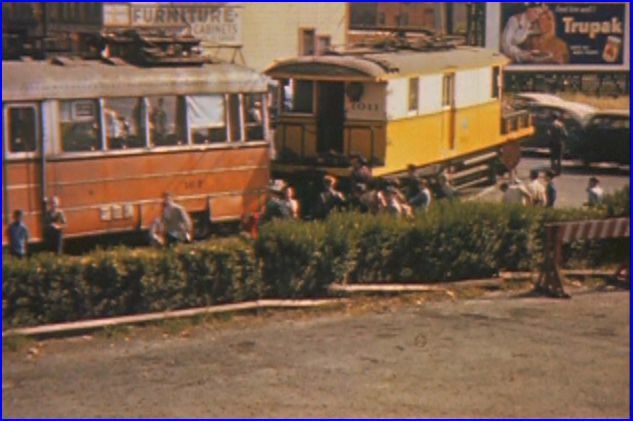 Excellent color segment of Treasure Island and the 1939 World’s Fair. Ferry boat action too. You will see the ferries and ride them! The presentation is of a time machine quality. 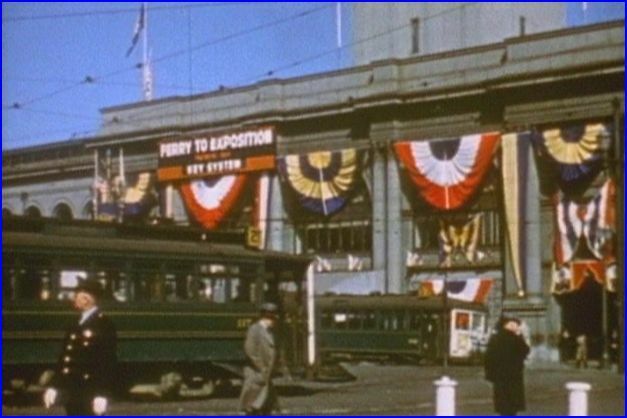 Historical aspects of the 1939 World’s Fair, at a turning point in world history add interest. 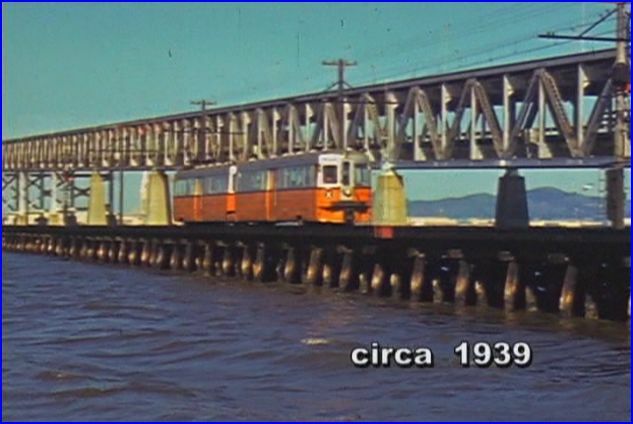 A test train with Key System executives departs from Emeryville onto San Pablo Avenue. We ride the train and view the vintage street scenes. Street running is the first portion of the ride. How about all the antique vehicles that are seen? One of many interurbans that traverse the Eastbay. Fascinating, informative and in pristine color film! Some Southern Pacific red trainline operation, with final days at Berkley. Southern Pacific cameo with steam powered trains. San Francisco street operations are a few more extras. There is a plethora of the assorted electric passenger operations on this show. Much more is included and a second volume will focus on 1946- 1958. 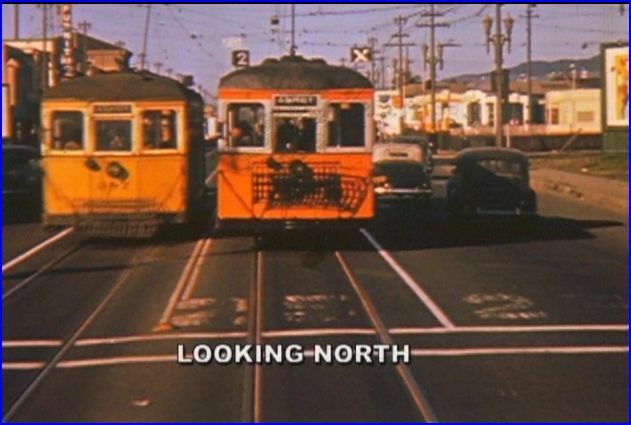 Rare, G Line color footage! I do find that Charles Smiley shows are loaded with extras. Maps, music, still photos, period images ex: tickets, posters, timetables are some extras, that are often found. History, insightful commentary and connecting roads or additional eras film are more bonuses. There are about 10 extra minutes, with a nice series of previews, of additional CSP titles at the end. Once again, Charles Smiley has a top shelf train video program. His seemless integration of so many elements is very talented. The assembly of so much rare footage and organizing it into the fine show here, is amazing! 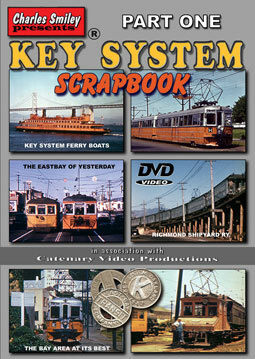 Looking foward to Key System Scrapbook Part Two. 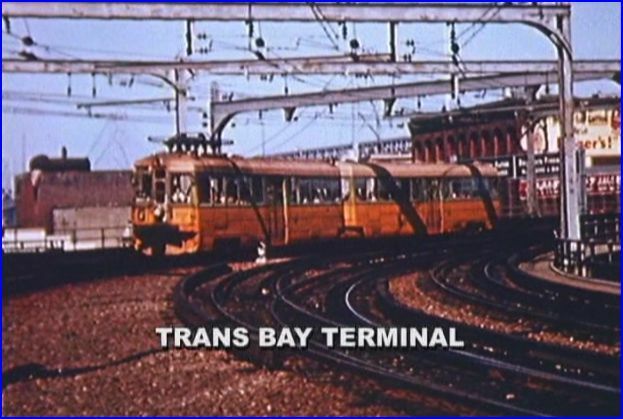 This entry was posted in ATVR Reviews, Charles Smiley Presents and tagged American Train Video Reviews, California, electric, PBS style, Railroad, Train DVD, train video reviews, transportation by William J. Hudson. Bookmark the permalink.